Quickly, how many different Japanese dog breeds can you name? If you answered Akita, you’re batting a thousand! Most of us would be hard-pressed to name any other Japanese dog breeds. But that’s about to change once we introduce you to Japan’s truly unforgettable and one-of-a-kind canines. Actually, there’s a good reason most dog lovers lack knowledge of Japanese dog breeds. Most of Japan’s dog breeds, including the six ancient canine breeds, are simply not sold or seen anywhere outside of Japan’s borders. All Japanese canines are Spitz-type dogs, specifically bred to hunt in harsh weather conditions. 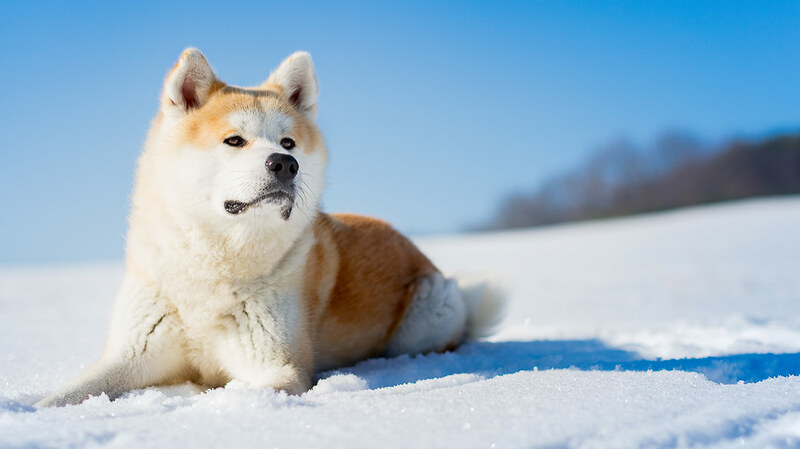 The Akita and Shiba Inu are two of the most well-known Japanese hunting dog breeds. Although each hearty breed is built to survive and even thrive in inclement weather, they have the type of personality that loves to curl up in a warm house and live life as your forever friend. The words, “Inu” and “Ken” both mean “dog,” in Japanese and are sometimes used at the end of a breed’s name, such as Akita Inu or Kai Ken. 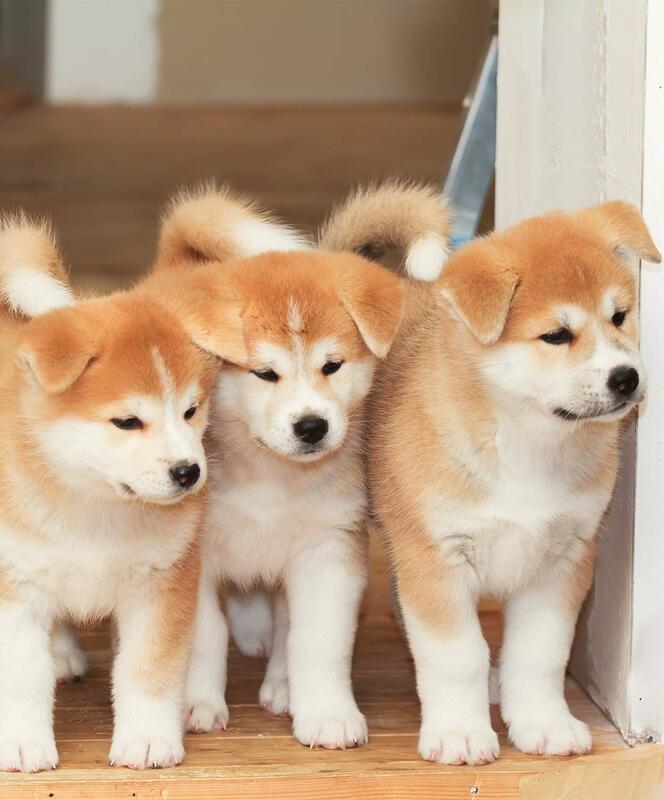 Most Japanese dog breeds are named after a province or geographical area, with the exception of the Shiba Inu—a great breed to start off our exploration of Japanese pups. The lively Shiba Inu is the smallest of the six ancient Japanese dog breeds and member of the Non-Sporting group. And is the American Kennel Club (AKC) 44th most popular pedigree dog out of 192 canine breeds. This little firecracker averages 15 inches in height and typically weighs around 20 pounds. The cheerful little Shiba was bred to be a capable hunter and the modern version retains a muscular physique and curious nature. The Shiba’s self-assured personality makes perfect sense when you consider their origins. The Shiba has been likened in appearance to a fox, and it’s not hard to see why: a lithe body is bathed in shades of red, tan and black, with accents of white. The beautiful coat sheds quite a bit so expect to see lots of fur flying around if you live with a Shiba! Because of their perky yet good-natured personality, the Shiba is Japan’s most popular domestic dog, and also makes a good watchdog. Will that ever be the case in the US? Any dog, Shiba included, has a long way to go before knocking the friendly Labrador Retriever from its number one spot in our hearts and homes! But the Shiba has only been in the U.S for around half of a century, so anything is possible. The origins of this breed can be traced to 300 BC, and like the case with many overseas pups, the Shiba was brought to the West by returning military personnel. Shibas need regular but not overly strenuous exercise. Curiously enough, skin allergies are the biggest health issue among Japanese Inu breeds. Owners of such dogs can expect their pups to experience itching and skin irritation, although these symptoms are easily treated. Otherwise, the Shiba Inu is a healthy breed in general. Although common canine disorders such as hip dysplasia (joint slippage) and patellar luxation (dislocated knee) seen, and occasionally, eye disorders. The medium to large-sized, intelligent Kai Ken dog (sometimes called Nihon Ken) is another of Japan’s ancient canine breeds. 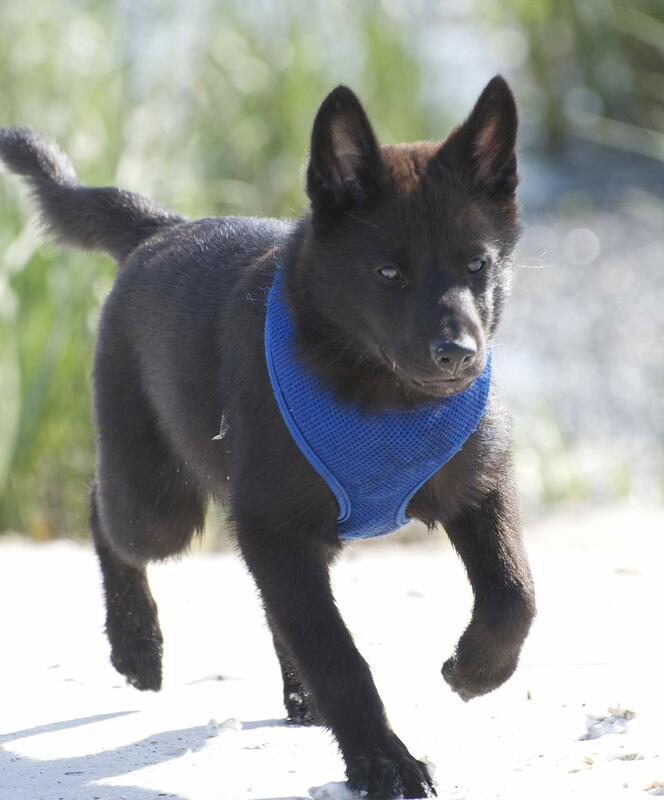 Like the Shiba Inu, the Kai Ken was bred as a hunter’s companion and belongs to the Working Group of dogs. Back in the day, it was a rare sight to behold a Kai Ken hunting in the mountainous regions where it was developed, and this remains the case today. Which is our loss, as this is breed is known to show extreme devotion to its owner in addition to being a fast learner. Being a people-pleaser, the athletic Kai Ken has a good reputation as a Japanese guard dog. In fact, Kai Kens make excellent outdoor companions as they excel at both swimming and climbing, skills they relied upon as they hunted back in the day. In addition to their physical prowess, their brilliantly colored coats further enable these magnificent dogs to maintain their reputations as superior hunters. How did their fur help them to hunt? The Kai Ken’s coat perfectly camouflaged him as he went about his business! The Kai Ken comes with a medium length double coat in a brindle fur pattern, in either a Red or Black Brindle. This handsome coat is very manageable and regular brushing through the week will keep it looking glossy and healthy. Although this agile breed retains its love of the outdoors, apartment life is possible for them as long as daily exercise is provided. While fully trainable, the gentle Kai Ken is known for needing a firm but very supportive approach when it comes to training. While it is believed that the first Kai Ken arrived in America at the middle of the last century, we don’t have confirmation of any known offspring. In the early 1990’s more Kai Ken dogs arrived, and it is from this group that the current American breed was bred. This proud, stealthy dog is so revered in Japan that it is considered to be a, “national treasure,” due to its trustworthy nature and devout loyalty to its owner. Overall this is one of the healthiest Japanese dog breeds with allergies and joint issues among their medical concerns. The small to medium-sized Japanese Spitz is not an ancient breed, rather it was created during a period from the 1920s to the 1930s. This relatively new breed was developed by combining other Spitz-type breeds and is not recognized by the American Kennel Club. 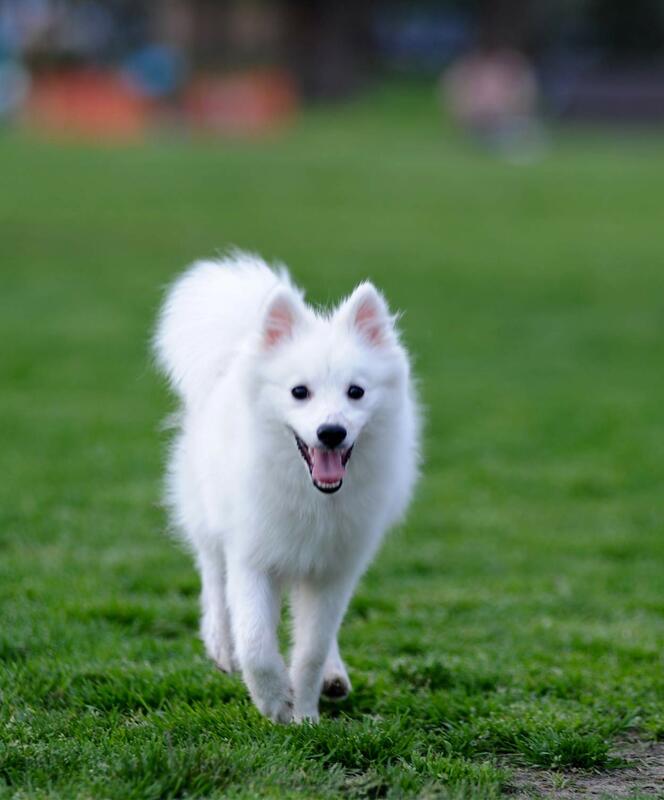 Nonetheless, the popularity of the “purebred Japanese Spitz,” is on the rise due in part to their pleasing personality and appealingly plush, all-white double coat. Because of their snowy white appearance, the Japanese Spitz is often compared to the similarly puffy Pomeranian. The outer fur on the Japanese Spitz fluffs out from atop the softer inner coat, and a delightful ruff of long fur surrounds the pup’s neck. Despite their glorious appearance, the Japanese Spitz’s coat is not high maintenance; regular brushing will keep it clean and pretty. The Japanese Spitz are described by their owners as affectionate pups who live to spend time with their family. Owners who are gone all day should consider another breed, as this one absolutely is happiest when she can be by your side. They are active and bright, loyal and obedient, and due to their tendency to bark at strangers, may be considered capable watchdogs. The Japanese Spitz is one of the longer-living dog breeds, typically living 10-15 years on average. Accordingly, this breed has no major reported health problems, although patellar luxation has been reported and runny eyes can occur. The AKC refers to the beautiful Japanese Chin toy breed as “charming, loving, noble,” and describes this reserved lapdog as having cat-like features. It would be wrong to assume that toy dogs are somehow are better behaved simply based on their small stature. Yes, Toy dog breeds are cute and delightful, but they are still 100% dog! 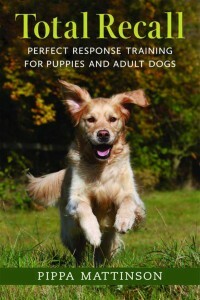 Meaning that they require the same system of training and socialization as small, medium, and large breed Japanese dogs. Toy breeds are just as likely as are their outsized brethren to bark, chew precious items, and have accidents around the house. The Japanese Chin’s origins are the subject of lively debate: is it Japanese, Chinese, Korean? At least one study suggests that breeds native to southern Japan originated in northern China by way of the Korean peninsula, versus Japanese dog breeds from northern Japan. Another study suggests that native Korean native dogs may be descended from the dogs of northern Far East Asia. Despite the disagreement on canine DNA in general, and the Japanese Chin specifically, experts agree that today’s regal and refined canine version was nurtured by Japanese nobles. In spite of their long history, this cuddly creature was not introduced to Western countries until circa 1854. Believe it or not there has also been some tumult regarding the dog’s name! Originally known as the Japanese Spaniel, the breed was renamed in 1977, acquiring the moniker Japanese Chin. Befitting of their royal past and regal bearing, this little tyke has a bit of a reputation for being stubborn. 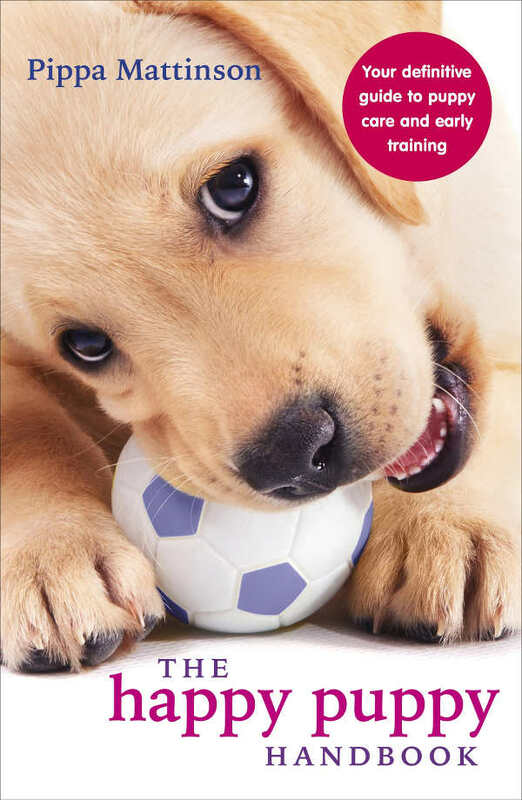 Thus, early training and socialization are imperative for your dog to attain the proper doggie manners that will make it a welcome companion! Chins have silky, long fur and are definitely indoor dogs. They have a flowing mane circling their neck, a plumy, arched tail, and feathering on the back legs. Nonetheless, their luxuriant fur is anything but high maintenance, and weekly brushings will suffice. While the Japanese Chin is an alert and active pup, strenuous activity is neither needed nor desired. Small walks or romping in a yard is quite enough to keep it healthy and happy. As such, apartment life is very doable for this adorable dog. Overall the Japanese Chin is considered to be a healthy breed, although luxating patella, heart murmur, and cataracts can occur. It should be noted that the Japanese Chin can also be affected by a rare inherited neurological condition called GM2 gangliosidosis—also known as Tay-Sachs. This progressive, fatal disease destroys nerve cells in the brain and spinal cord. 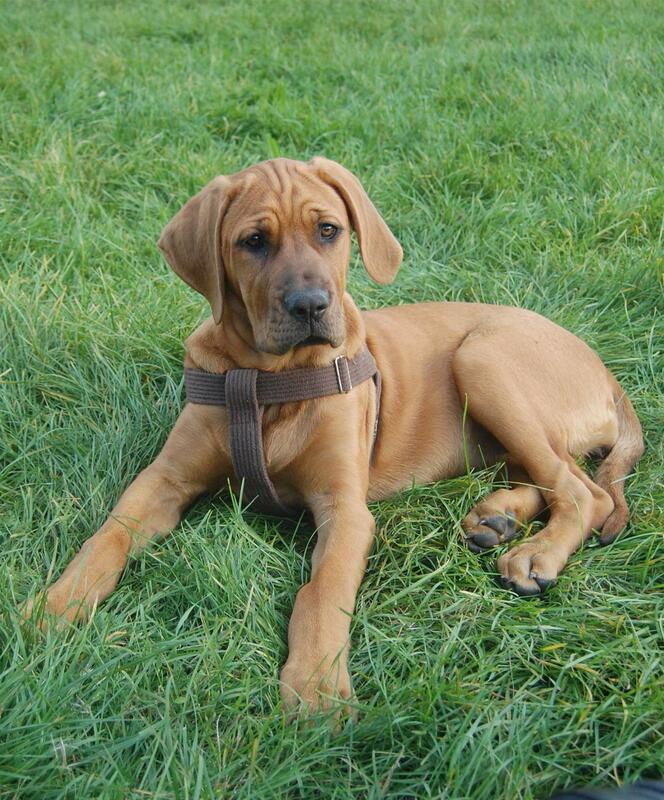 The Tosa, also known as the Japanese Mastiff, is a large dog breed from Japan. The breed, named after its city of origin, is rare and bred as a fighting dog. Many owners seek out strong Tosas as guard dogs and the impressively built canine has been described as fearless and courageous. The Tosa may range from 80 to 135 lbs and has a short, smooth, low-maintenance coat that comes in brindle, fawn, or red (sometimes black). The Tosa is distinguished by its robust physical presence which includes a remarkably thick neck as well as powerful jaws. However, in spite of its imposing image, this is not a dog who requires a strenuous exercise regimen; moderate daily exercise is sufficient. Overall, the breed enjoys an average lifespan of around a decade. While the Tosa is illegal in the US and many other countries, in Japan, the tradition of dog fighting— dating back to the 14th century—continues today. Since that time, in order to create a strong fighting breed, along the way the Tosa has been crossed with St. Bernard, Mastiff, English Bulldog, and Bull Terrier breeds. Interestingly, but quite fitting, this inimitable fighting canine breed has been likened to the revered Japanese Sumo wrestler. You may now be wondering, just what exactly is a Tosa’s temperament like? The breed is known for its loyalty. But due to its background as a fighter, it requires stringent training and socialization in order to mediate any aggressive tendencies within these Japanese puppy breeds. While a Tosa is capable of being a companion animal, its size and history imbue it with a certain tendency toward dominance—a trait to always be ultra-cautious of with regard to children. In addition, the Tosa is not recommended for first-time dog owners. In fact, owning a Tosa is illegal in some areas. The United Kingdom regulates ownership of Tosas under the Dangerous Dogs Act, and Australia bans the import of Tosas. Potential owners should also be aware that not all insurance companies will insure homes that have a dog breed presumed to be dangerous. As we’ve mentioned, most Japanese dog breeds are rarely seen outside of their native country. And even within the nation of Japan, there are some dog breeds that are so rare few Japanese have seen them. What are these uncommon, elusive creatures? To begin with, Japanese terriers are the rarely seen descendants of smooth-haired fox terriers. Transported to the island nation in the 1600’s from the Netherlands, this terrier is a small, short-haired, lap dog with a reputation for being curious and active. Believed to be named after a Japanese tribe, the Hokkaido is a rare, medium-sized, Japanese dog breed known for its high IQ and strength. Another extremely rare Japanese dog breed is the Shikoku Inu, which is native to the mountains for which they are named. The Shikoku is another medium-size dog known for its high canine IQ and fiercely independent personality. 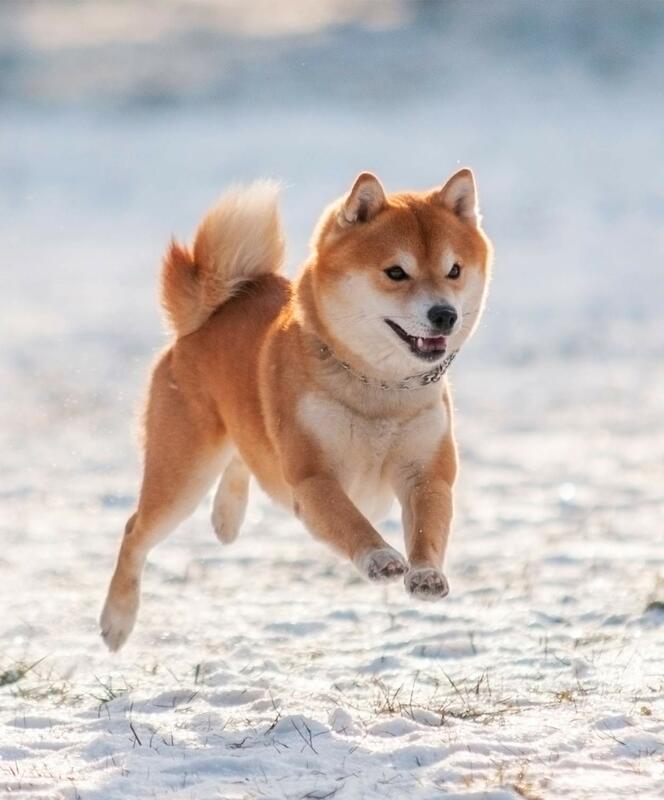 Hopefully, you enjoyed reading all about Japanese dog breeds and in addition, found our data on rare Japanese dog breeds, such as the Ken Kai, enlightening. 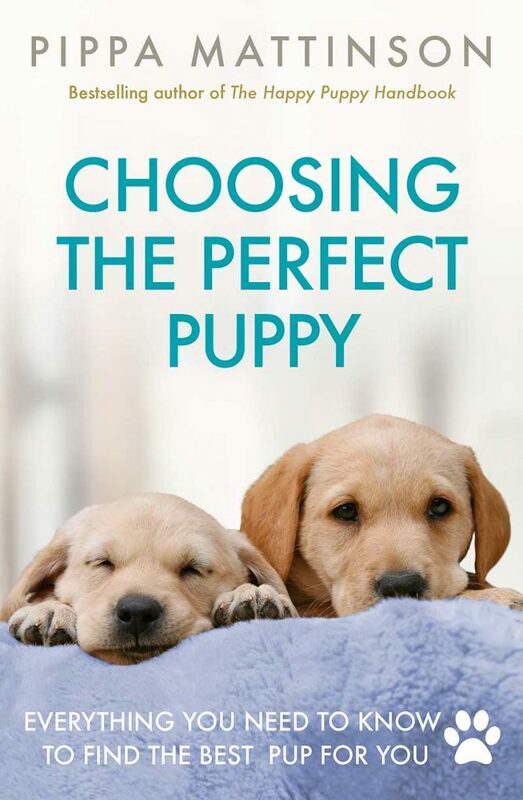 If so, your best bet is to work with a responsible breeder who can help you to locate a healthy dog from the Japanese dog breed you’re interested in. But before you get your hopes up, remember, Japanese dog breeds, with a few exceptions, are rare outside of Japan. This means the pooch you’re interested in will likely be expensive, not to mention difficult to import—I never said owning one of the many appealing Japanese dog breeds would be easy! Do you own one of the popular or rare Japanese dog breeds? If so we’d love to hear about your experiences with these one-of-a-kind canine breeds in the comments below! Alam MR et al. 2007. Frequency and distribution of patellar luxation in dogs. 134 cases (2000 to 2005). Veterinary and Comparative Orthopaedics and Traumatology. Hashimoto Y et al. 1984. 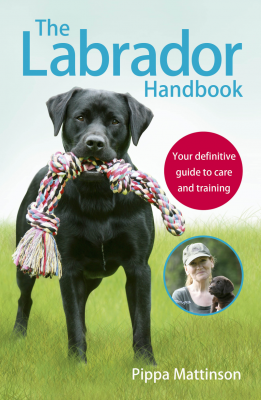 Further Studies on the Red Cell Glycolipids of Various Breeds of Dogs. A Possible Assumption about the Origin of Japanese Dogs. Journal of Biochemistry. Kim KS et al. 2001. Genetic Variability in East Asian Dogs Using Microsatellite Loci Analysis. Tamura S et al. 2010. GM2 Gangliosidosis Variant 0 (Sandhoff‐Like Disease) in a Family of Toy Poodles. Journal of Veterinary Internal Medicine.